← Archeology is NOT like the movies. For the last couple days, I’ve been working on digging my own little hole in the middle of our now 2.5 x 5 meter half-square. I’ve been working on digging up a section of floor bedding in order to see if there is any stratification on the balk (wall) of our square. And there is! It’s really cool to be able to look at the balk and see the different layers – dirt, floor bedding, and rock layers – underneath. 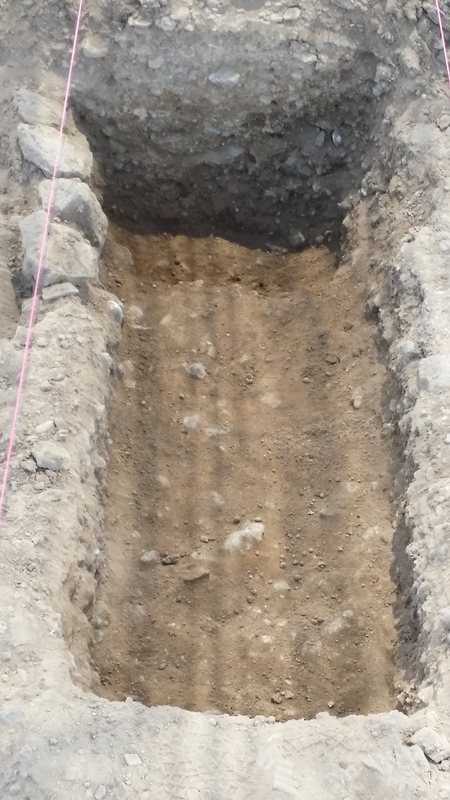 Sitting in my little hole, pulling up dirt, I came across the top of this pipe, poking out of the eastern balk (the top wall in this picture). Excitedly, I began brushing the dirt off of the little bit of pipe that showed through. I began pulling more dirt back with my mini pick, slowly uncovering more of the pipe underneath. And more. And more. Next to me, my square supervisor was brushing dirt back from the pipe imbedded in the floor bedding above where I had been digging. 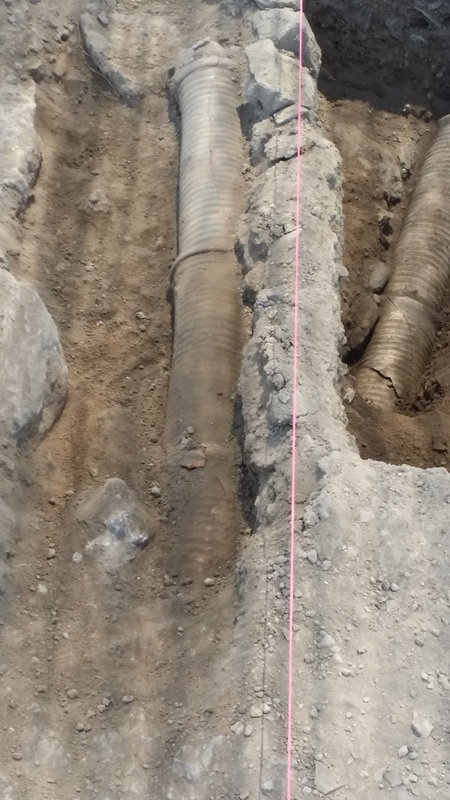 The pipes are a new and very exciting discovery at Omrit. We haven’t found pipes in such good shape and so close together. 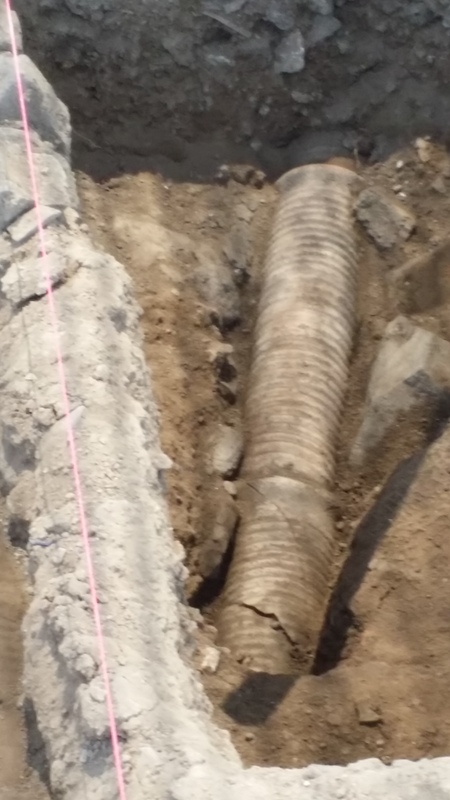 We also found some partial pipes and a lot of pipe shards in our square. We aren’t sure yet what this means. Right now, we’re working on identifying and dating the seemingly endless pottery shards we are finding in our square, hoping to find out what the area we’re digging up was used for.